These tiles have a raised profile in a basket-weave design. 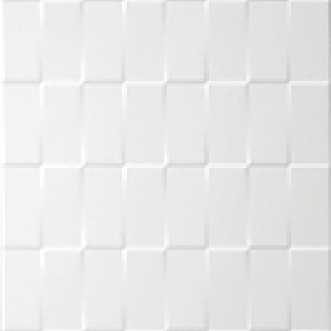 A decorative 2"x8" Listello enhances the attractiveness of the tiles. Coordinates well with Twin 8" x 12" Collection.